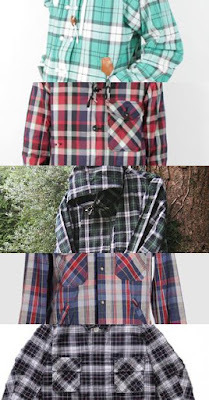 If you wanna stand out without looking too gaudy this fall, try these different variations on the Plaid parka. I've got several options from Japanese to American, Tartan to plaid. There are also several of different brands to choose from including Visvim and Woolrich Woolen Mills as well in the full post, so take a look if you're interested. UCS - about $250 - I really like the leather details on this one. American Rag CIE - About $120 - The buttons, and front pocket add a nice touch. Uniqlo - about $40 - The most inexpensive of the bunch, a solid option but hard to find. Woolrich Woolen Mills - About $180 - Love everything about this WWM one. Visvim - Probably $500+ - This will be the best made of the group but the most expensive.